The Nanny Goat Race is the second race in the Old Goat Trail Race Series. The race takes place on a one mile dirt loop on a private horse ranch located in Riverside, California. The ranch is owned by the Sexton Family and the Co-Race Director is Shelli Sexton. The object is to complete as many laps as possible within an allotted 12 or 24 hour period. 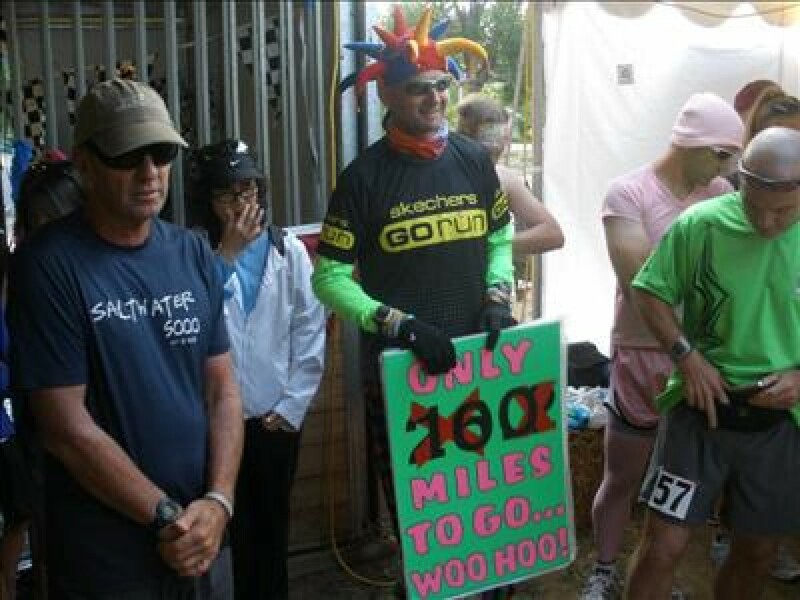 A 100 mile option is available for any 24 hr runner who has completed 86 miles by 8:00 am on Sunday. Those runners may continue until reaching 100 miles or 12:00pm (whichever is sooner). The course is flat, the footing is good (weather dependent), and the trail is wide enough to allow easy passing. Support is never more than a half mile away. Camping is available within a few feet of the course. Spaces allocated on first come first planted. The 24 hour race will start on Saturday Morning at 8:00 am and will end on Sunday at 8:00 am. 12 hour runners may opt for a daytime or night time 12 hour segment. (8:00 am to 8:00pm on Saturday or 8:00 pm Saturday to 8:00 am Sunday). Live tracking. As with all Old Goat Races, swag will be presented to all entrants. Tech shirts, mugs, etc. 100 Mile buckles are a different color each year you finish Nanny Goat 100. See web site for info. In addition to the food and tasty beverages provided in the transition area, there will be a Saturday afternoon BBQ and a Sunday Morning Breakfast for runners and race volunteers. Crews, spectators, etc. may enjoy the BBQ & breakfast for a $20 fee payable on line or at registration. Nanny Goat race is an excellent opportunity to raise money for your favorite charity. If you choose to do so, it's your responsibility to collect funds and donate.